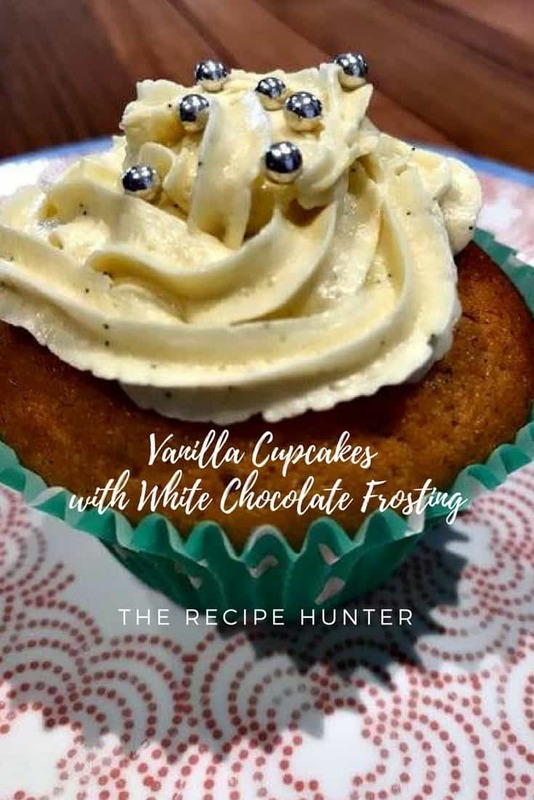 A Vanilla Cupcake and op top of that one with White Chocolate Frosting is one of life’s great treats. Spoon the mixture into the paper cases and bake for 20-25 minutes or until cooked when tested with a skewer. Completely cool on wire racks. For the frosting, stir cream over a small saucepan over low heat. Do not boil. Place the chocolate in a large bowl and pour the cream over. Stir ganache gently to combine and melt chocolate and set aside for 2 minutes. Add the vanilla and whisk until soft peaks form. Spoon the frosting into a piping bag and pipe onto each cupcake.